What a fantastic gift. We had a good sextant on Melika and I relished learning how to use it. We kept a set of sight reduction tables and a current almanac on board so it could be used in an emergency but you can bring it out to do things like a highly accurate two point fix. 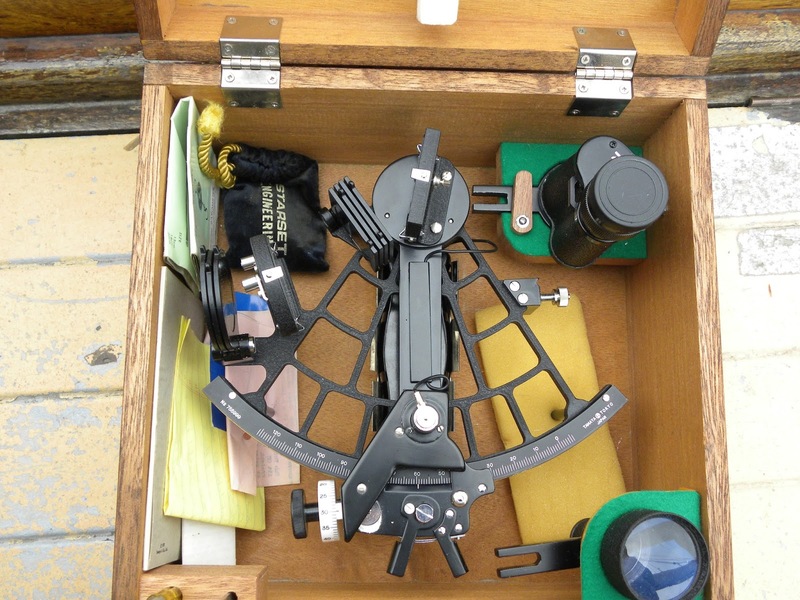 Take a bearing on one known point, you turn the sextant sideways and measure the angle between that and another known point. Pop down below and plot.the bearing line and mark off the angle. Precise location in no time. Love it. Just practicing a noon sight is a joy. Great tip Steve and I'll try to remember it. I seem to remember a pic of you takig a sight when you crossed on Melika? Happy Days.